Abby Jane Morrell sailed with her husband Benjamin on a voyage between 1829 and 1831 aboard his schooner Antarctic. Both wrote books describing the voyage although Benjamin was considered less than truthful and it is his wife’s account that has survived. At that time the whaling industry was reaching its peak and New England ports sent out a steady stream of vessels on whale catching and sealing expeditions, when the value of a single cargo could cover the cost of a new ship’s construction, fitting out, crewing and stores, but still provide a generous profit. DESCRIPTION: Women had served aboard warships, often disguised as men, and served aboard merchant and exploration vessels. They were a great rarity. However, the Nineteenth Century saw women being carried on merchant and whale ships in an increasingly common habit. In most cases, these were the wives of captains, but that did not mean that they were just unwelcome passengers, some proving expert navigators. 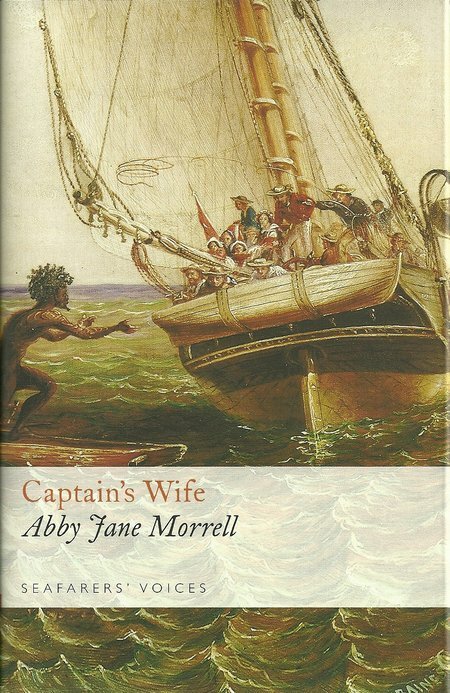 Abby Jane Morrell sailed with her husband Benjamin on a voyage between 1829 and 1831 aboard his schooner Antarctic. Both wrote books describing the voyage although Benjamin was considered less than truthful and it is his wife’s account that has survived. At that time the whaling industry was reaching its peak and New England ports sent out a steady stream of vessels on whale catching and sealing expeditions, when the value of a single cargo could cover the cost of a new ship’s construction, fitting out, crewing and stores, but still provide a generous profit. Products from this voyages were the essential materials of the Industrial Revolutions that spread across the world. Whale oil illuminated the Nineteenth Century until mineral oils began to take over. In her voyage, Abby sailed from New England to the Pacific. Benjamin was a sealer and explorer and Abby was intelligent and well-educated. Her book is an engaging and colourful account of the voyage, blended with her observations of life aboard a relatively small sailing vessel. She was only fifteen when she married her cousin Benjamin in June 1824 and therefore only twenty when she embarked on her voyage with a crew of 23 including her husband and her brother. Abby would have had little time with Benjamin before the voyage because he sailed three weeks after they married and returned from that voyage in July 1829. However, she already had young son and had to leave him with her mother. Her account of the voyage is lively and incisive, bringing to life the places and sights she experienced. It is difficult to be sure how much of her knowledge of the sea and sailing was gained in this trip. She appears to have enjoyed a solid education from a financially comfortable family, but the fact that her cousin was a ship’s captain and her brother joined them on the voyage suggests a close familiarity with the life of a New England port and of the vessels that sailed and what were arduous voyages in search of whales and seals. What seems to be completely fresh is the observation of a ship and its crew at sea. The account is fresh after all the years that have passed since she wrote it. It opens up the world of whaling and sealing and the exploration of the Pacific. This is a book that absorbs and rewards the reader. Highly recommended.